Agnes Ravatn is a Norwegian journalist, essayist and short story writer. 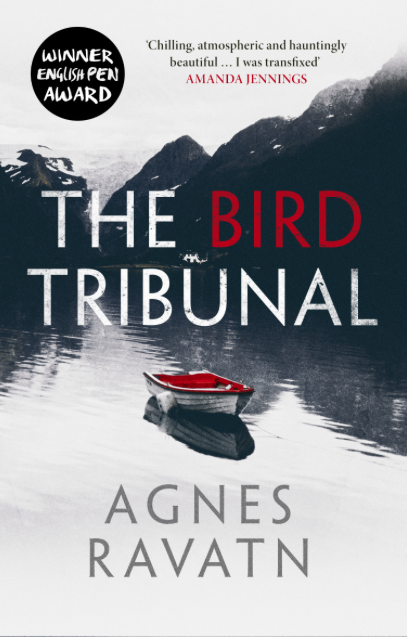 The prize-winning crime novel The Bird Tribunal (Fugletribunalet) is her second novel. Allis has done something terrible. What it is we’ll only learn later in the book. We only now it’s something shameful and it made her leave her life and her husband behind. Since she was a public figure, many people know about it and she’s scared of being recognized in the streets. That’s why she applies for a job as a housekeeper and gardener for the summer in a remote house on a fjord. To her surprise, her employer, Sigur Bagge, isn’t elderly but a 44-year-old man. He says that he needs help while his wife is away. Sigur’s age isn’t the only thing that surprises Allis. She’s also puzzled by the way he wants them to live together. Strictly apart. She’s to prepare his food but eat on her own, after he’s finished. She is not do disturb him or talk with him. Allis isn’t used to so much isolation but at first she plays along. In a way, it’s even soothing. She’s too glad he doesn’t know her or her story and that his way of life allows her to stay hidden. As much as Sigur may want them to stay apart, it’s difficult when you share a house and they finally get to know each other anyway. Allis is glad but at the same time there are so many things that make her uneasy that she’s not sure the new situation is really a blessing. Agnes Ravatn does a great job at creating an eerie atmosphere. I also liked how she uses foreshadowing and the way she infuses her story with dream segments and stories of Nordic mythology. 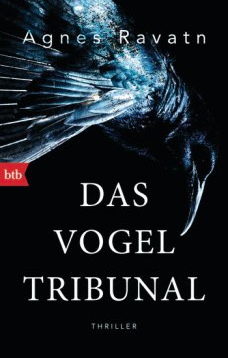 The Bird Tribunal is a claustrophobic story, dark and mysterious, and held me captivated until the end. I discovered The Bird Tribunal on Raven Crime’s end of year list, which is a list I look forward to every year. As he focusses on crime, his list is dangerous. It always makes me buy books. I was mesmerised by this one too – very claustrophobic and creepy, very atmospheric. 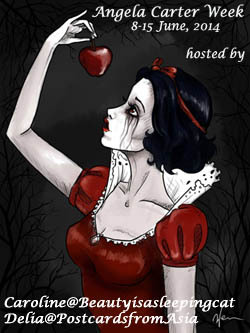 Shades of Jane Eyre, of course, or Rebecca. 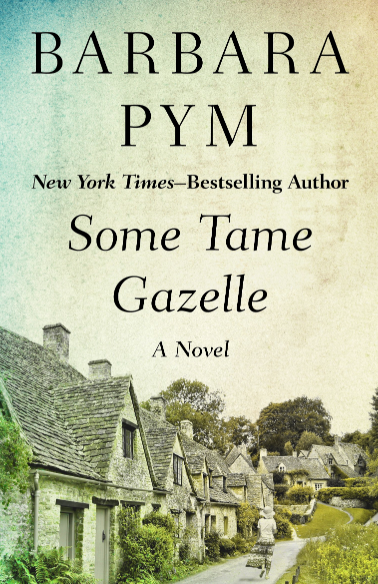 Your comment comparing this to Jane Eyre and Rebecca has made me want to read this even more! Two of my very favorite books. And, yes, it has elemenst of both of them. Excellent review. Your very detailed review has completely pulled me in. I’ve added it to my long, long TBR list and hope to read it one day. Thanks, Marjorie. It’s a very unusual, powerful book. I hope you’ll like it. I thought Ravatn did an excellent job of sustaining the tension throughout the whole novel. Even towards the end there were still secrets to be revealed. Absolutely. I thought at some point, so this is it but then there was more to come. Really so well done. This does sounds like a hugely atmospheric read. It might be too unsettling for me as I tend to find contemporary crime novels too frightening, but a close friend would love this – she’s always on the lookout for this type of book. I’ll make a note of your recommendation and pass it along. It made me feel very uncomfortable. Not scared though. I hope she’ll enjoy it. I think it’s extremely well done. You make this sound so interesting. I love atmospheric books and I like ominous mysteries. I will also recommend this one to my wife who I think would like it. Thank you, Brian. I hope she will like it. It’s eerie and creepy. And you don’t really see where it’s going until it us almost finished. Wonderful review, Caroline. Definitely adding this one to the pile. Thanks, Carole. I think you’ll like it. It’s eerie and atmospheric. You’re right Caroline; this one sounds up my alley. I thought so. It’s dark and character driven. I’m curious to hear how you like it.